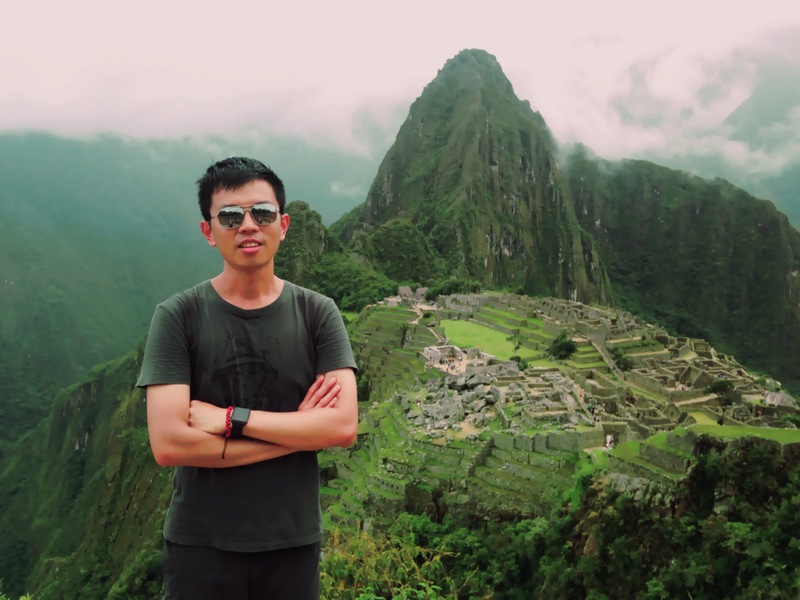 HOW DO SOMEONE TRY TO DESCRIBE MACHU PICCHU? After entering the site, I had only a few minutes to look at the ruins before it was all covered with the morning mist. It was impressive in its size, mystical in its history, and breathtaking with its backdrop of Huayna Picchu mountain and Urubamba river. No wonder it is ranked so high in many people’s to-see list. The experience is truly one of a kind. 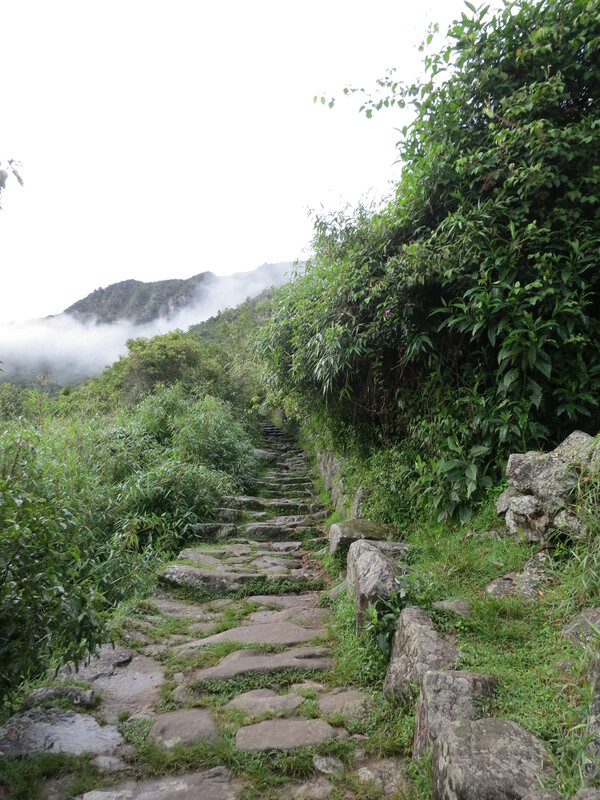 There are 2 ways to get from the Machu Picchu town to the archeological site. I can either take the 20 minute bus ride up the hill, or walk up a beautiful trail for 1.5 hour. I initially planned to walk, but it rained so hard the day before, the tracks are muddy and wet. Buses leave quite often, especially during the peak hours. The site is quite big. One can easily spend half a day walking through the walls and various rooms. After taking a few pictures, I went on to climb the Machu Picchu mountain. 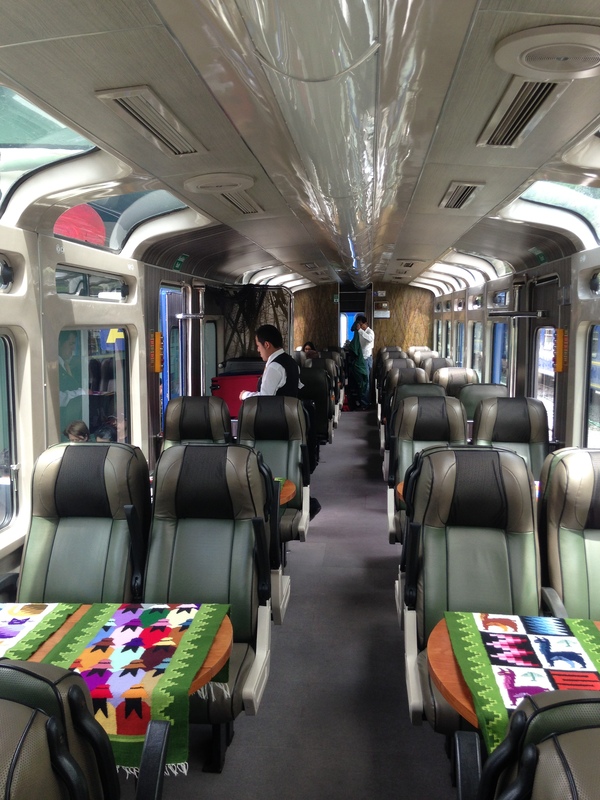 YESTERDAY WHEN I WAS TAKING THE VISTADOME TRAIN, a fellow traveler from Hong Kong, Wong, sat beside me. It was such a coincidence that we realised that we are staying in the same hotel (there must be many hotels in town), and I met him during the breakfast buffet today. 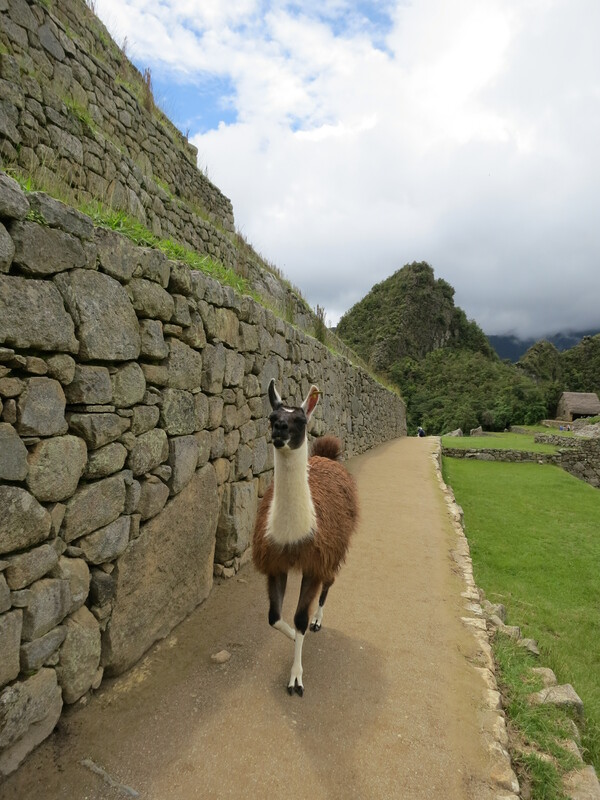 While ascending the steep steps up to Machu Picchu, I met him again, and we quickly became hiking buddies. Wong is a civil engineer in his mid-fifties. From what he shared, I can see that he is well-traveled and has a very positive outlook in life. The 2 hour uphill climb was not easy. Due to the clouds and mist, there was nothing to see. It was nice to have someone to chat with during that arduous trek. Once at the peak, we took turns watching and waiting for the mist to disappear. We began to guess which direction the ruins are. Someone checked their map on their guidebook, another person searched Google Map. I even asked Siri “Can we see the Machu Picchu ruins from the mountain?”. After an hour and a half of waiting, the dense mist started to fade slowly, eventually revealing the postcard-perfect view of Machu Picchu. All the hard work, money and sacrifices seemed worthwhile. In the moment, everything grew quiet. 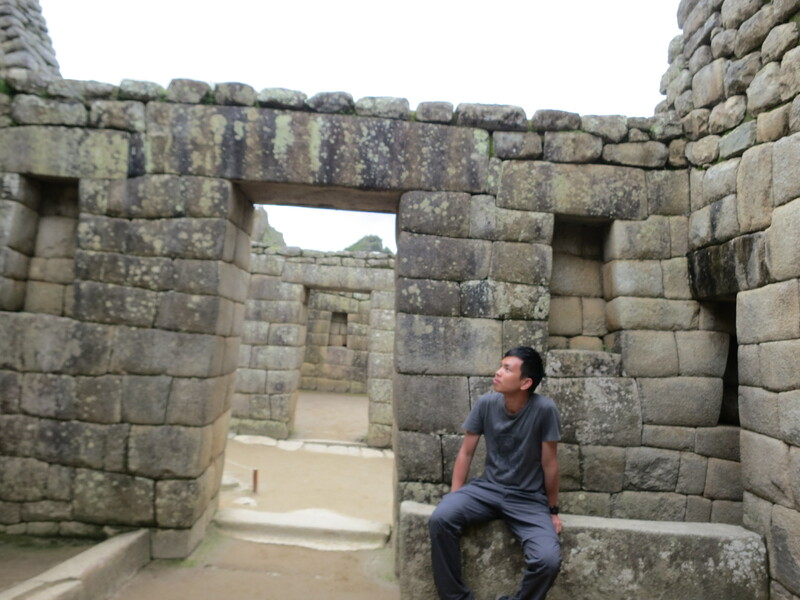 It was just me and Machu Picchu. I LATER WENT ON A BUFFET LUNCH AT THE PRICEY SANCTUARY LODGE OUTSIDE THE RUINS. I thought that it was way too overpriced, but the food selections were quite tasty, so that made it okay. 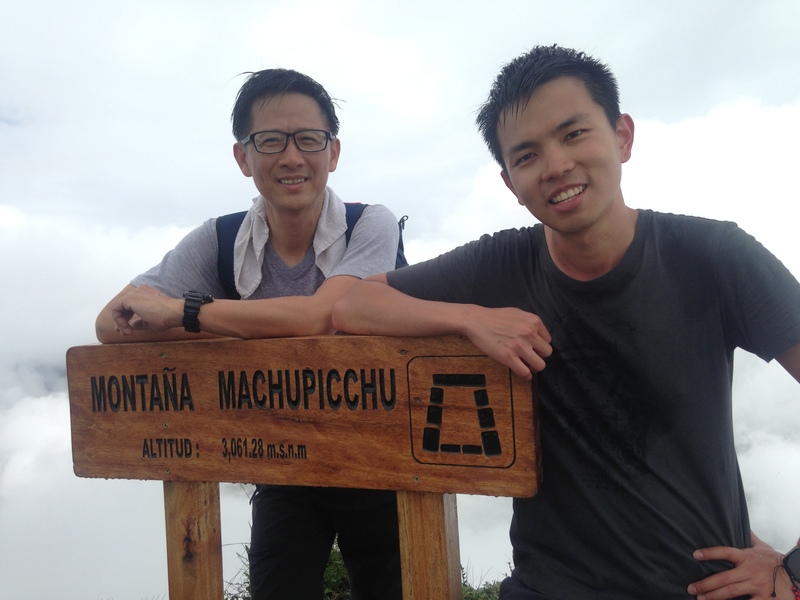 (Or it was just the post-Machu Picchu mountain euphoria influencing me?). 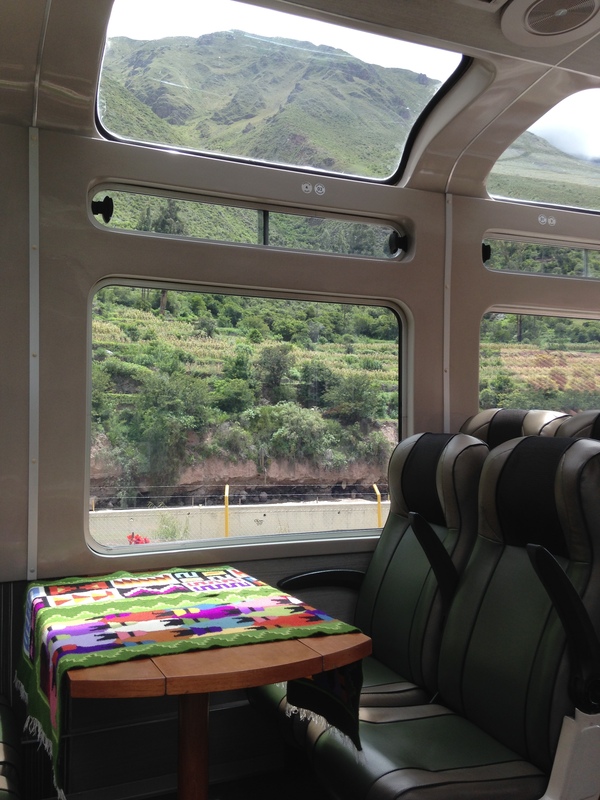 Wong said goodbye to catch his train back to Cusco while I waited until most visitors were gone. Around 4pm, there were only a handful of people in the site. It was so calm, so beautiful, I almost could not get myself to leave. Later that night, it started pouring heavily again. We were very lucky there was only a short scatter of rain today. 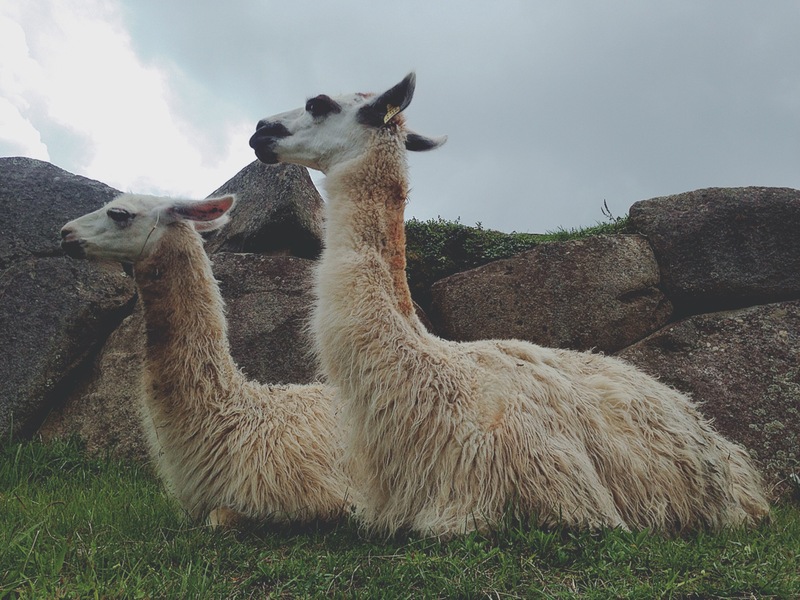 The highlight of Peru, alas, came to a satisfactory end. 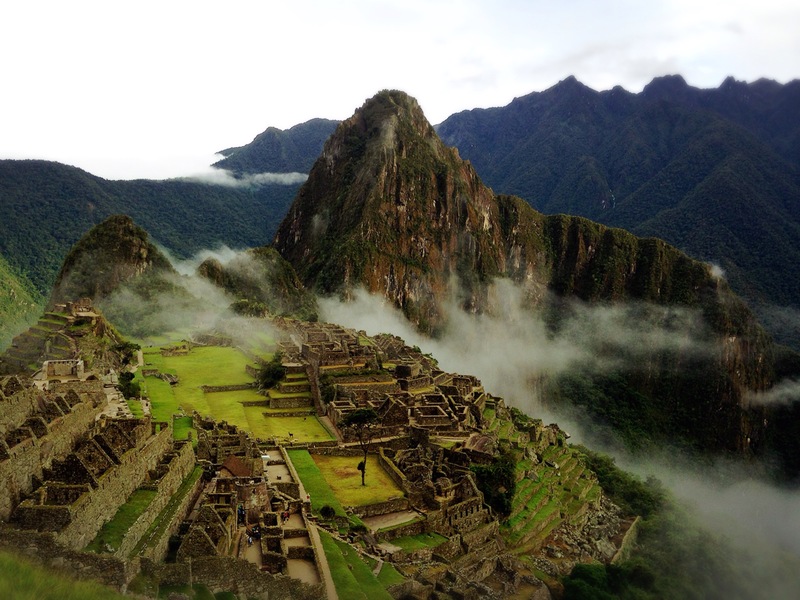 While drinking my celebratory pisco sour in the hotel, I recall the perfect view of Machu Picchu in my mind. It is going to be something that I would cherish my whole life.